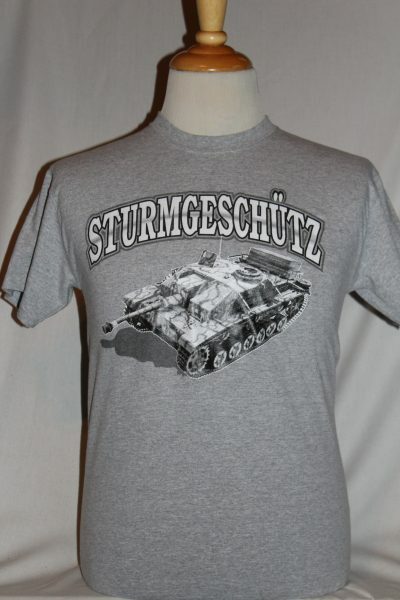 The German Stug Assault Gun T-Shirt is a two sided print in grey. 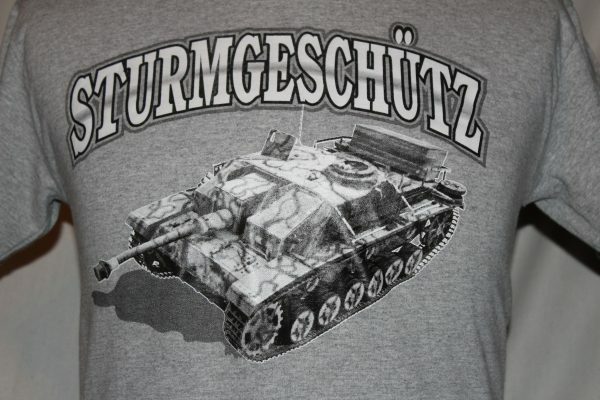 Front Design: Sturmgeschutz Assault Gun with 7.5 cm Stuk 40 L/43 long barrel main gun, and camouflage pattern. 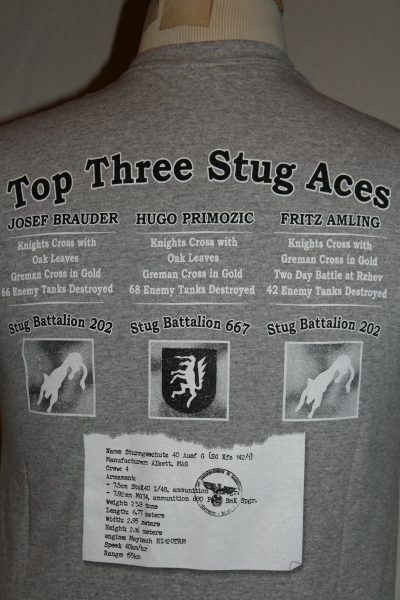 Back Design: Three of the top Stug Aces with their individual awards, and number of enemy tanks destroyed. 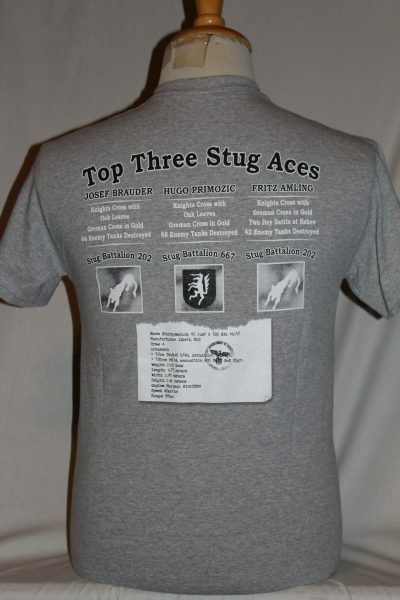 Also included are their battalion numbers and battalion insignia's. Manufactures statistics name plate.